Some things are worth paying for. None of the ten for-pay apps chosen here are likely to break the bank. As you’re about to discover, some apps in this list are practical, and some are downright silly. Bill Atkinson PhotoCard is a free app that lets you create gorgeous high-resolution postcards and send them via either e-mail or the U.S. Postal Service. 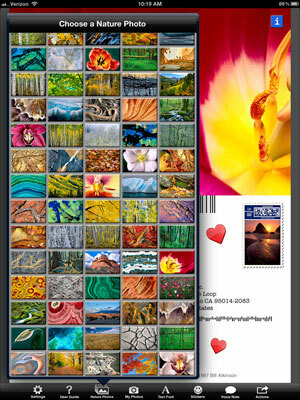 Sending postcards by e-mail is free, and so is the app. You also can have printed postcards sent via USPS for $1.50 and $2.00 per postcard, depending on how many print-and-mail credits you purchase. The 8.25-x-5.5-inch postcards are, in a word, stunning. Printed on heavy glossy stock on a state-of-the-art HP Indigo Digital Press, and then laminated for protection, they’re as beautiful as any postcard you’ve ever seen. Words with Friends HD ($2.99) is a ton of fun. It’s kind of like playing SCRABBLE with a friend, but because it’s turn-based, you can make a move and then quit the app and do other stuff. When your friend makes his next move, you can choose to be notified that it’s your turn by sound, onscreen alert, and/or a number on the Words with Friends icon on your Home screen. Do you fancy yourself an artist? 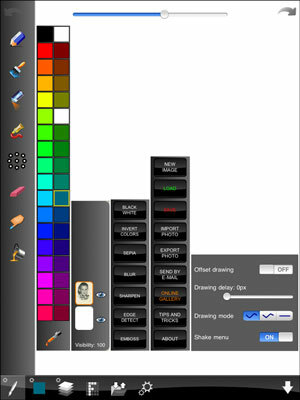 Even if you have limited artistic talent, you can see that ArtStudio for iPad has everything you need to create awesome artwork. One last thing: The app is prices at a whopping $5.99, which is a heck of a deal for a thoughtfully designed and full-featured drawing and painting app. Good pinball games require supremely realistic physics, and Crystal Caliburn II ($3.99) nails it. The way the ball moves around the tables and interacts with bumpers and flippers is so realistic that you’ll think you’re at an arcade. It’s so realistic, in fact, that you can shake the table to influence the ball’s movement. Another hallmark of a great pinball game is great sound effects, and this game doesn’t disappoint. The sounds the ball makes when it bounces off a bumper, is hit with a flipper, or passes through a rollover are spot-on and totally authentic. Art Authority, for only $4.99, is like an art museum you hold in your hand; it contains more than 50,000 paintings and sculptures by more than 1,000 of the world’s greatest artists. The works are organized into eight period-specific rooms, such as Early (up to 1400s), Baroque, Romanticism, Modern, and American. In each room, the artworks are subdivided by movement. The Modern room, for example, has works of Surrealism, Cubism, Fauvism, Dadaism, sculpture, and several more. This handsome animated $0.99 guide to the night sky from Vito Technology — it was refreshed to take advantage of the Retina display — will delight astronomy students and really anyone fascinated by outer space, even if purists scoff that Pluto, no longer considered a planet, is included in the model of the solar system. From the start, you’re taken on a virtual tour through the galaxy to the Earth. You can search planets, satellites, stars, and more and travel through time and space with a Time Machine feature. Animated movies cover topics such as Earth’s Cycles, Solar Eclipse, and The Moon Phases. With Action Movie FX, it’s a breeze to add big-budget Hollywood-style special effects to video you shoot with your iPhone. Action Movie FX comes from producer J. J. Abrams’s Bad Robot Productions, best known for TV shows such as Alias and Fringe and feature films including Star Trek and Super 8. The free version features eight big-budget movie effects, such as Missile Attack, Avalanche, and Meteor from Outer Space, as well as Phaser Fight and Photon Torpedoes from Abrams’s epic theatrical release Star Trek into Darkness. 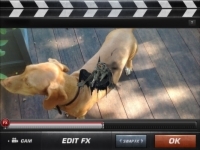 In other words, Action Movie FX lets you add Hollywood-style special effects to your videos so you can destroy people, places, pets, and other stuff in a variety of fun and interesting ways. The free effects are great, but you might want more (if not all) of the ten currently available FX packs for $0.99 each. The $3.99 Facetune app can make you look perfect — okay, it promises to make you look better. 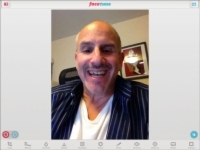 After uploading a photo or taking pictures inside the app using the camera on your iPad, you can tap Facetune controls s. Facetune smooths away wrinkles, whitens teeth, changes the contours of your face, makes it look like you’ve got a full head of hair (when you don’t), and even defocuses the image so that any imperfections in your face don’t show as well. 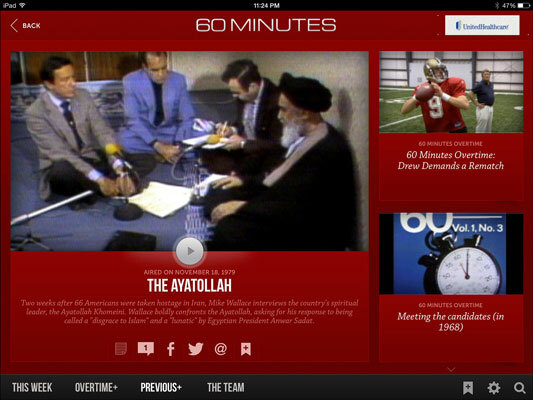 CBS Interactive’s $4.99 companion app to the series brings the latest 60 Minutes segments to your iPad so that you can watch at your convenience. The 60 Minutes Overtime segments that provide weekly behind-the-scenes looks at how the various stories came together are also available. You can search shows by topic (newsmakers, politics, science, business, sports, entertainment, nature), by decade, and by correspondent, letting you zero in on some of the finest work from Ed Bradley, Harry Reasoner, and Mike Wallace. Andy Rooney is here too, as is the famous 60 Minutes stopwatch. Parallels, a company best known for letting you run virtualized versions of Microsoft Windows on Macintosh computers, may eliminate the need to carry the extra machine. Its Parallels Access iPad app ties into a subscription service that lets you tap into your home or office PC remotely, whether it’s a Windows PC or a Mac. 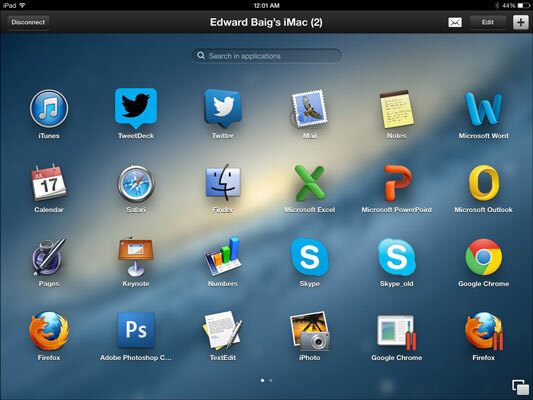 What sets Parallels Access apart from other apps that provide remote access to computers is that you can get to and use all the programs that reside on your PC or Mac, including the proprietary software that your company may employ. Moreover, you can interact with those applications on the tablet as if each were designed for the iPad, and even use a browser running Adobe Flash on the iPad. The Parallels Access app itself is free to download, as is the agent program you must install on each Mac or PC that you choose to access. But you must pay $79.99 per year, per remote computer, for the required subscription that makes it all possible.